An example of a geographic category page. UK local activity is primarily mapped at a county and London borough level. An example of how an initative might use EnviroWiki to compile information about their climate activity, and link it in to what's going on around them. EnviroWiki.org.uk is an open mapping and accountability tool intended to support the exploding environmental movement. Sometimes too much information can be as unhelpful as not enough (especially when it's not easily accessable). The purpose of EnviroWiki is to help structure and unify the growing levels of information and debate within the environmental movement. 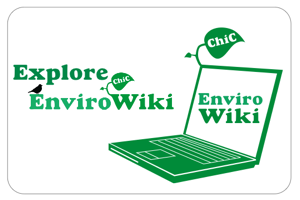 Like other wikis, EnviroWiki allows for users to add to and edit content. In fact, the success of the site entirely depends on it. Please help us to make EnviroWiki a useful tool for the environmental sector as a whole by adding in information about your own campaigns and research. Read more now or contact us for further information on getting involved.